Not for the faint of hearted, one of the latest Yggdrasil slot creations called Baron Samedi centres around voodoo magic and takes you into the Louisiana plains where the undead Baron will summon the deceased with his cards and dolls to help you win up to 250,000 coins on 5 reels and 25 paylines filled with mystery. This game is an acquired taste. It boasts strong and quality graphics and an overly exciting gameplay bursting with plenty of detail. With voodoo becoming a popular subject is the slot stratosphere, Yggdrasil cooked a tasty treat in their kitchen, packing it with a medium volatility mechanic and an RTP of 97%. Playable on all devices for as low as €0.25 per spin, this game will cater to both needs of the slot beginners and higher rollers. The maximum you can invest on a single spin is €125. Baron Samedi comes with 36 collectable features, Voodoo Respins and everybody’s favourite Free Spins which in combination can all be much more than you’d bargained for. HOW TO PLAY Baron Samedi? Mysterious music alone is enough to give you chills in the Baron Smedi slot. Throw in a dark-magic toolkit designed reel grid and we have ourselves a full voodoo package. The raven’s skull on the left, a potion of sorts and a cigar on one side of the reels and dice on the other are there to provide an additional effect. Symbols on the reels simple follow suit. Four gemstones start the collection which also comes with a voodoo doll, voodoo woman Brijit and Baron Samedi in the flesh. He happens to be the most rewarding symbol as well. Completing the list we have the Goat Skull Wild, replacing for all regular symbol. The game pays for three matching symbols on a payline from left to right but the action can also start even if you land two symbols – Free Spins Scatters. More on that will be written further below. Before you set the reels to motion and start spinning the reels, make sure to adjust the gameplay. Going up and down the coin value will automatically adjust your cash bet. It starts at €0.10 and moves up to €125. You can also click on the Max Bet button to cut to the chase. Baron Samedi comes with an AutoPlay button, of course, where Yggdrasil allows you to choose from a number of automated options – starting from 10 to infinity. Baron Samedi is exactly the trademark Yggdrasil game. It oozes with quality and substance, starting from the visual apparel and onwards to the gameplay itself. With collectable features – 36 of them in total – altogether with Wilds, multipliers, guaranteed win lines, stacked symbols and mystery ones, this game has got it all. Voodoo Respin – first in line of the features available in this game is activated when you get two Free Spins Scatters. You will be dealt three cards to provide you with a variety of extra goodies such as anything of what’s mentioned above. Free Spins – the proper action starts with this feature, which is activated with three Scatters on the reels. The Free Spins bonus starts with 7 free spins (3 Scatters required) and works its way up to 12 (4 Scatters) and 15 (5 Scatters). With every Free Spin, you will be deal three Collectable cards – totaling 36. If you complete a collection, the game will reward you with 3 Free Spins with that card locked in the first position. Tap on the deck (found above the reels) will provide you with information regarding your collection. There are many different combinations to benefit from with Collectable cards as mentioned above. From random wilds and low-paying symbols getting removed from the reels to up to 10x multiplier and no less than 4 mystery reels, you can hope to land some rather hefty winnings in this game. 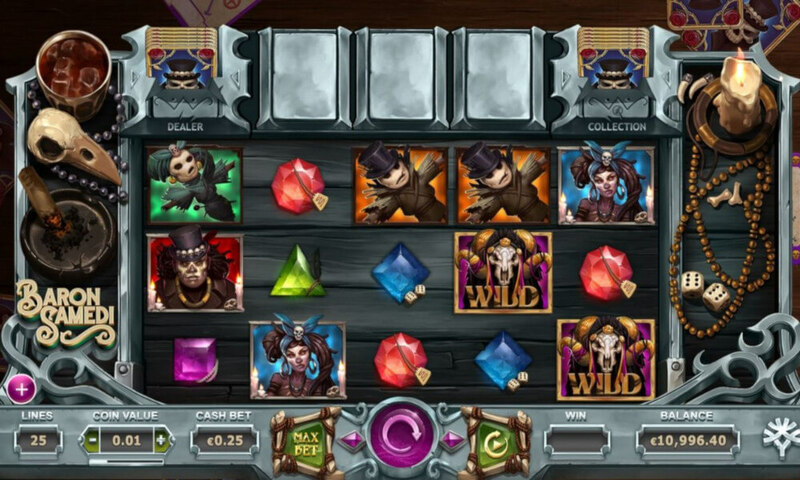 Baron Samedi online slot from Yggdrasil Gaming might sound like a confusing and pretty complicated game. The truth is, however, this premium product is a well-balanced slot which breathes innovation throughout the gameplay. With collectable cards during free spins and plenty of different top-ups, the players can hope to get 27 additional free spins (on top of the original 15) and multipliers up to 10x. Obviously, getting all collections can be a difficult task, but a worthwhile one. This game is an elaborate magical presentation with great potential. It might be said that it’s an acquired taste as a subject is a rather unique one. 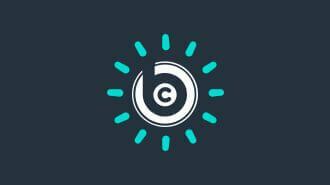 Still, with up to 250,000 coins on offer, it definitely will attract a wide audience. Players, we need your help with how we should to rank and rate these reviewed casino games. You can help us by rating this game, and if you really enjoyed playing Baron Samedi. You can also share it with your friends on Facebook, Twitter and via email. For all freeplay games, if your free credits run out, simply just refresh the page and your balance will be restored.